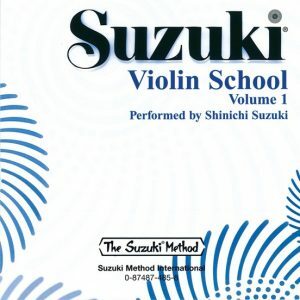 Listening to the repertoire recordings on a daily basis is essential for progression under the Suzuki style of learning. This can begin even before lessons start. 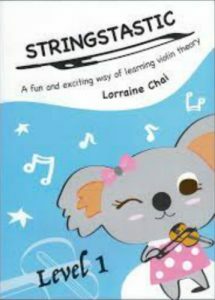 The recordings can be played at a low but audible volume while the student engages in other daily routine activites such as during meal times, homework, play or before sleep. Parents who successfully make listening to high quality music a part of the family routine provide the optimum environment for musical development in their children. The choice of audio format parents choose depends on what will be easiest to play on a daily basis. Electronic formats, such as available in iTunes or as MP3 have the advantage that they can be slowed down for the student to learn with, using apps such as the ones suggested below. However, if playing a CD is easiest, buying the CD along with the method book is most convenient. All of the options are listed below with links to purchasing opportunities. 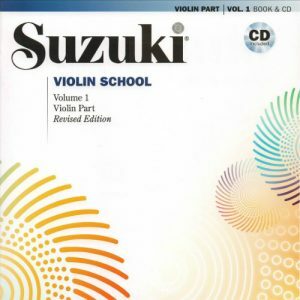 The recording by William Preucil contains the revised repertoire as notated in Suzuki Violin School, Vol. 1, Revised Edition and is therefore the recommended version. This is the original recording of Volume 1 played by Dr Suzuki himself. 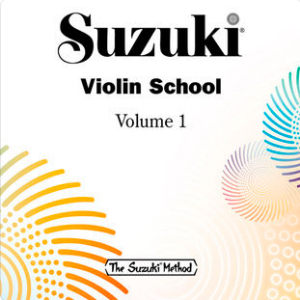 Although it has a few very minor differences from the Revised Edition, it is great to listen to the way Dr Suzuki played, particularly for the pieces he composed himself specifically for his repertoire! 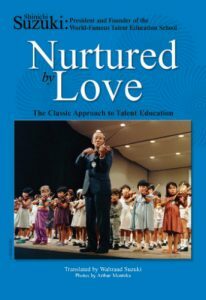 Nurtured by Love: The Classical Approach to Talent Education, by Dr Shinichi Suzuki, Alfred Music (1983). 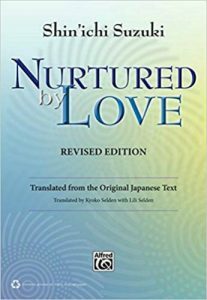 Nurtured by Love (Revised Edition): Translated from the Original Japanese Text, by Dr Shinichi Suzuki, Alfred Music (2012). 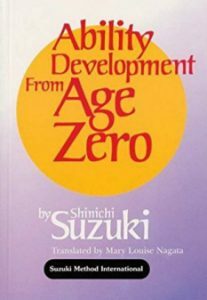 Ability Development from Age Zero, by Dr Shinichi Suzuki, Alfred Music (1981). 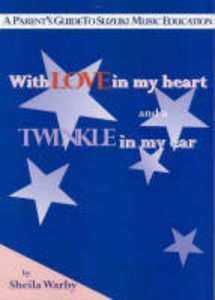 With Love in My Heart and a Twinkle in My Ear: a Parent’s Guide to Suzuki Music Education, by Sheila Warby, Sheila Warby Developmental Education (2002). 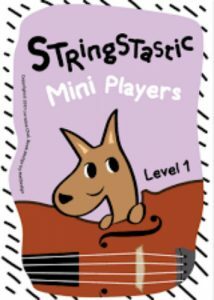 Specifically suited for very young players with simple exercises, colourful illustrations and stickers. Suited for children aged 6-10. The basics of music theory through games and fun graphics. 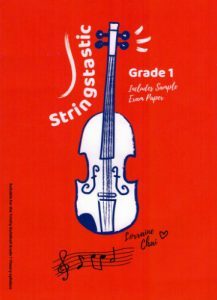 Music theory for violinists of all ages who are quick learners.